Another day, another new series on the blog. 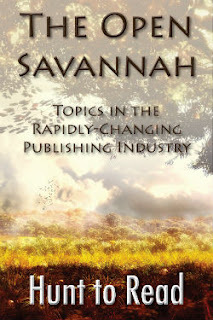 Every Wednesday, we'll take a look at current news, trends, and events in the book industry in a feature we like to call "The Open Savannah." This week, we discuss all of the recent Chicken Littlery over Amazon's latest earnings report. Last week, Amazon announced its latest round of quarterly earnings to much hand-wringing and consternation in the publishing world. Essentially, Amazon fell short of earnings projections by $30 million--obviously a ton of money, just not necessarily to Amazon--and posted a 2 cents per share loss as opposed to a projected 5 cents per share profit (the horror!). And yet, Amazon's stock price jumped above $310 per share before settling down into the $306/share range. A lot of folks in the publishing world seem to think that this is bald-faced evidence of predatory pricing by Amazon; after all, if Amazon isn't turning a profit, why are people buying their stock? It must be that they're planning on monopolizing everything, then really jacking up the prices, giving authors less of the sale price, and making everyone extremely unhappy in the process! Let me back up; in another life, I was an antitrust lawyer. Hard to believe, I know, but I used to deal with all kinds of FTC, DOJ, and even foreign antitrust merger clearance issues on a daily basis. I say that just so you know that I have some idea of what I'm talking about when it comes to monopolies and all of that good bread-and-butter antitrust stuff. One huge misconception is how difficult it is not only to run a predatory pricing scheme on a worldwide scale, but also how rare such schemes actually are. Back in the day, it might have been easy for Smith's General Store in Padooka, Kentucky, to lower prices to run Jones's General Store out of business and then jack up the prices on all of the goods: what exactly was the alternative for Padooka residents? Drive to Otherville? Hardly! Hypothetically, let's just say Amazon is in a predatory pricing scheme; they aren't lowering prices for the benefit of consumers, but rather are doing so just to jack prices back up "someday," in the future. Okay, what's the endgame then? I say that in all sincerity; I still haven't heard a viable answer. Let's say that Amazon runs a bunch of companies out of business, as they may have already done (Circuit City and Borders say hi). Let's say Amazon chews through pretty much everyone in retail, if you're willing to go that far--again, this is just a thought experiment. Amazon still has to contend with the likes of Wal-Mart, Target, and other stores that serve an important need: "I need this right now." And that's without thinking about global "sleeping giants" like Alibaba and the like, who can undercut Amazon to near-supply levels of pricing. As much as I love Amazon Prime, there are still some things that I either need right now, or simply prefer to drive over to Target, Wal-Mart, or the grocery store to get due to convenience and immediacy; sometimes I can't wait the two days. I'm not a logistics master; I can't plan ahead for every purchase because quite simply there are things that I want at a given moment, and my wants are always shifting. Amazon is constantly looking to decrease the time between "want" and "have;" they've started their Amazon Fresh program for groceries, and continue to build new fulfillment centers around the country. In fact, these expenditures were a large part of their reason for missing on earnings this past quarter; groceries need refrigerated warehouses, and a lot of them. You know what doesn't need millions of square feet of warehouse space? Or cost but mere fractions of a penny per copy to maintain? I would argue that Amazon already enjoys very fat margins on ebooks; even on bargain bin $0.99 titles, after paying the $0.25 or so credit card transaction fee, if Amazon takes 70%, they still clear about $0.55 per copy, or 55% of the sale price, all but maybe a penny or two of digital "infrastructure" pure profit. The total amount per copy only goes up as prices rise. Not only that, but in terms of digital sales, Amazon has an important distribution advantage; the time between "want" and "have" can be measured in fractions of a second. Though there is a potential inefficiency to be exploited by an enterprising company that can create a quick "open source" solution to delivering content to mobile devices of all types, currently loads of folks have Kindles and Kindle Apps, and Amazon can get them Kindle books in the blink of an eye. Try to sell even more digital goods on current terms and prices? This incentivizes content providers (in our case writers and publishers) to continue producing more content, which should keep people buying digital "goods." That's another upside for Amazon; "goods" is in quotes because they aren't selling "goods" at all--rather they're selling limited licenses to access content. That means that theoretically, each person will have to buy their own copy, thus increasing potential profits down the road. Maybe my glasses are a bit too rose-colored. Maybe I drank too much kool-aid delivered to me in a smiling Amazon Prime box. But from a competitive standpoint, it just doesn't make any business sense for Amazon to spend the resources to monopolize the market (dodging the FTC and DOJ all the while), drive competitors out of business, and then jack up prices. Far better to sell more of the high-margin goods you already have on current terms while expanding infrastructure to decrease the space between "want" and "have. "That is, until Amazon-branded 3D printers are available to produce any good one can think of at a moment's notice, thus utterly changing our concept of "commerce" and remaking our economy completely. What do you think? Amazon: friend or foe? I've heard arguments from the other side, but for the life of me, if you're a reader or writer, I'm not sure why you'd buy into them. Nevertheless, feel free to air your grievances in the comments. 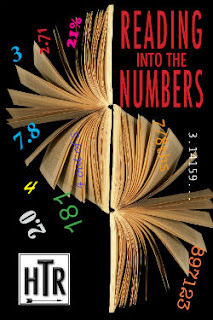 Another new series on the blog is a feature we like to call "Reading Into the Numbers." With good reason, a lot of book retailers out there don't necessarily like to share their data with folks, for good reason; it's proprietary business information that gives them a leg up on their competitors. However, here at Hunt to Read, we're all about the open and honest discussion of our book data, provided that we don't give away specific user information. No, what we envision this feature being is a look at some of the trends in our data on our site that may give authors insights and ideas as to how better to use the site. At the same time, genres help readers as a shorthand for the types of books that they're looking for, and can help authors build their audience. In the short month or so that Hunt to Read has been up, we've already compiled hundreds of books from our authors, and each book can be in up to three genres. We thought that readers and listers alike might enjoy seeing how the genres currently break down on the site. Interestingly, the top five genres make up a full 55% of the genre listings on the site! One genre that I think is almost criminally underrepresented is Horror; at the moment, it accounts for slightly less than 3% of all genre listings. If you authors or publishers have any Horror books you're sitting on, now would be the time to list them, as we slowly begin to bring readers to the site through our marketing efforts, and thus there's a little bit of a potential to become a "big fish in a small pond" as the site inequalities naturally balance out. The same goes for a lot of the non-fiction categories; many of them are right around 1% of genre listings, if not below. It's a very ripe and enticing opportunity for those with non-fiction books in their collections to target interested readers. Both Mystery and Young Adult are right around 5%, which we expect to see increase as the site gains more traction among authors. One other thing for listers to keep in mind: we're nowhere near "capacity" as far as genre listings go. If you wrote a cross-genre, Sci-Fi/Action-Adventure/Humor thriller, why not put it in all three categories to increase the number of hunts you appear in? We obviously don't want people trying to "game the system" in that regard--I assure you, our readers will tell you if the cover isn't "genre appropriate" given the genre(s) your book(s) are in, but if multiple genres do apply, by all means, go nuts! As you can see, with a young site such as Hunt to Read, there are plenty of opportunities to "get in on the ground floor," and leverage that opportunity to both improve your product and sell more books.As readers, know that as you search for new books, these authors who are our early adopters care enough about their craft and books to put themselves out there. All we ask in return from you is for honest feedback in the form of ratings and comments, each of which help you rack up HTR Points and (eventually) unlock free books. Any questions or notes? Feel free to leave them in the comments. 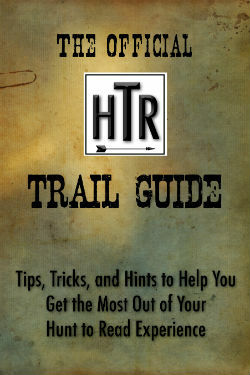 Thanks for reading, and Happy Hunting! Our co-founder, D.J., is syndicating his "So You Want to Write a Book..." series of posts from his personal blog on the Hunt to Read blog, to show aspiring authors that it's not nearly as difficult to get a book into print as they might think. This post deals with sitting down and finally starting your book. Enjoy! 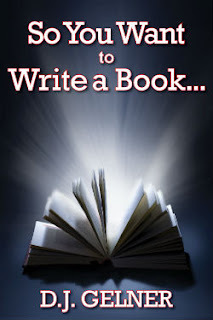 In this series, I've already written about questions you should ask yourself before you start writing, as well as ways to capture the ideas that you have at odd times, and tools that I use to write and publish my books. "Yeah, yeah--that's all well and good, but when do I get to start writing?" This may be the most difficult part of starting a book: your first opening. A lot of people stress about the start to their book for good reason: it's arguably more important than ever to hook a reader in the first few pages. Amazon and other retailers allow people to "Look Inside" the book at the first several pages. If they don't like what they see, you can imagine they'll just move right along to another, more interesting book. Believe me, I know. I asked a buddy of mine to read a rough draft of what will eventually become the Debt of Souls series of books. The first comment he made was, "You kept saying the same thing over and over again for the first ten pages, but after that, it got a lot better." You know what? He was absolutely right. A lot of folks get bogged down in the academic mindset of describing every...little...thing in a room in excruciating detail. My first attempt at a short story back while I was in law school was ten pages of a guy waking up, followed by me cataloguing his apartment as he brushed his teeth and showered. I know--really original! The same goes for non-fiction books; no one wants to read a dry summary of the rest of the book up front. After all, if you boil the book down to a few bullet points, what incentive is there to read the rest of it? Here are a few tips on how to avoid these common pitfalls. I'm still plugging away on a non-fiction book about wine. I could have gone on some flowery rant about how wine is the drink of the "civilized person," but my goal is to write about the opposite; how someone who thinks that wine is for snobs can come to enjoy and appreciate wine without all of the brow-beating and condescension usually associated with it. I should know; I used to be one such person, until [aha!] my first trip out to Napa. I quickly dashed out the story of the first time I had an educational wine-tasting out at Cakebread. There's a protagonist (me), a villain (a snobbish fellow tour-goer), and a surrogate for some of the wine knowledge I wished to impart (the wine professional in charge of the tasting). In so doing, people hopefully get a chance to see a bunch of things; that I'm not fond of wine snobs, that I'm all about opening up wine to a broader audience, that I have some expertise and facility with wine-related terms, and that I'm setting an at least partly humorous tone from the get-go. Think about starting your non-fiction book similarly, even if you have to fudge facts a little (but just a little) to make the story fit your purposes. I was an avid Lost watcher back in the day. I tore through the first season DVDs in a matter of days while killing time studying for finals. I couldn't believe how hooked I was; whenever each DVD was finished, I drove over to Blockbuster for the next disk (yes, yes, if you're under twenty-five, you likely have no idea what I'm talking about. Just imagine that you actually had to go somewhere to get TV and movies back in the day instead of downloading it immediately. I know: we were barbarians.). Even though the ending was ultimately a huge let-down, Lost drew everyone in with a combination of action (Plane crash! Pilot is dead! Trees sucked out of the ground! ), emotion (Character-based flashbacks! Ooooh, they have to do with what's going on on the island!) and intrigue (What killed the pilot? Why does it sound so weird? Why is this John Locke guy so creepy?). I think my openings have gotten better with each successive story. In Jesus Was a Time Traveler, I was still a bit verbose, chewing through a bit of backstory in the first chapter, though I stand by it because it's absolutely what the narrator, Phineas Templeton, would do. Hack was a little more straightforward and to the point; an old guy gets bad news in a hospital right away. By chapter three, he's made a big, life-altering decision and is caroming around in an enormous old car without any regard for pedestrians in his way. Rogue is probably my best yet: a man, waiting in another man's apartment for some unknown reason. They have a conversation. "He" is upset (who is "he?"). There's a big day the next day, a lot is at stake, the two men are friends, but they fight (why?). It's basically the penultimate scene of the book up front; then the book goes back and catches the reader up to that point until the third act. It's an old trick called a framed narrative, that's been employed by writers for ages; find an intriguing scene toward the end of the book, put it up front to create mystery, and work up to that point. If you get too much into a character's surroundings, unless there are active chainsaws being dangled from the ceilings and swung from one side of the room to the other as a character desperately tries to dodge them, you probably need to fast-forward to another scene for your opener. Once you have a solid, action or emotion-packed scene, then you can go back and determine if your initial description-laded scene still fits later on in the book; odds are that it doesn't. I'm going to be honest: unless you're some kind of freakish prodigy (it is possible, but unlikely), you'll look back one day on your first opening and think, "Man, I really could've tightened that up." That's perfectly fine; writing is a constant learning process. It's okay to experiment a bit with your openings until you get one right. The important thing is that you try. No book was ever written because someone kept mulling over problems with an opening in her head. Especially for your first book, any opening will be "good enough." By "good enough," I don't necessarily mean "publishable;" rather I mean "good enough" to get you writing. Once you have something down on the page, everything gets a lot easier, and you can go back and cut-and-paste as necessary. Do you have any specific tips for starting books? Anything that gets those words to flow onto the page just a bit easier? If so, leave them in the comments. D.J. Gelner is the co-founder and CEO of Hunt to Read. Email him at djgelner@hunttoread.com.